The regional branch of the National Police reported that a huge arsenal of live ammunition was discovered in Dnipro. 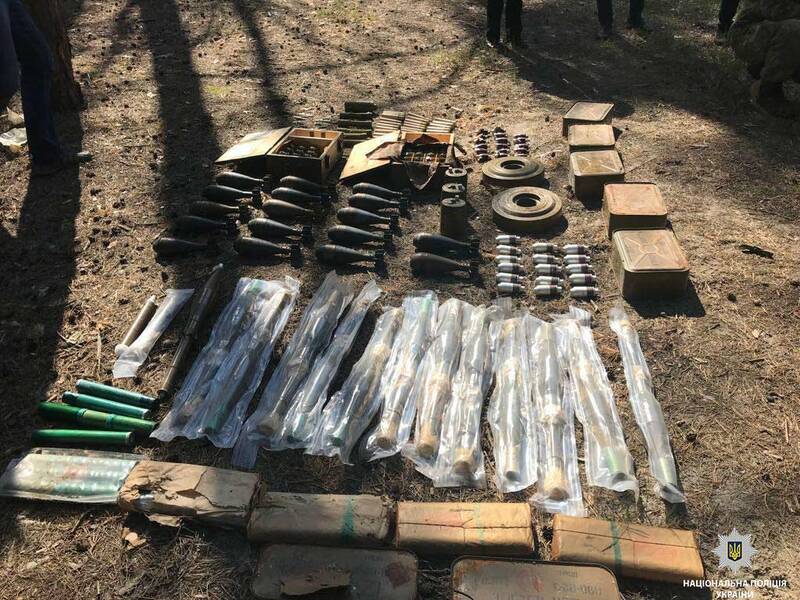 According to the press service, a group of unidentified malefactors held the ammunition in a stash located in the wood belt; the ammunition was brought from the combat area in Donbas. The entire arsenal - mines, grenades, 12.7 ammo cartridges and detonator firing devices - was collected and sent for the expertise. The criminal investigation commenced; the ammunition owners face prosecution under the respective article of Ukraine's criminal code.